Considered a Neo-Expressionist along with artists such as Sigmar Polke and Anselm Kiefer, A.R. Penck is best known for his paintings and sculptures characterized by simplified figures and forms, and neo-primitive symbols and patterns. Born Ralf Winkler, the artist adopted his pseudonym after reading the work of the geologist Albrecht Penck. A.R. 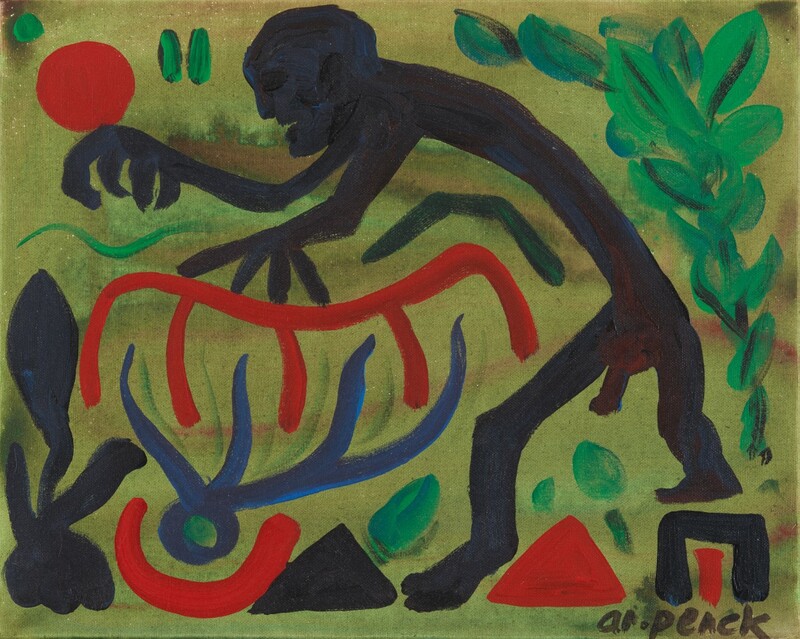 Penck lived in East Berlin from 1963 to ’72; unable to exhibit there publicly, he smuggled works out to West Berlin and Switzerland, where he enjoyed enough fame to provide him some protection from the German police. 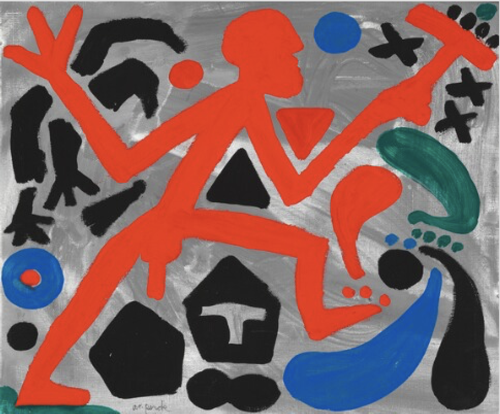 Penck’s style fused spontaneous self-expression with restraint, and pop cultural and art historical influences with political and social concerns. As a sculptor, he was constructing objects as early as the ’60s made from cardboard boxes, slats, used bottles, and tinfoil and later, in the ’80s, he made sometimes-monumental wooden sculptures. Penck was also a jazz musician and published theoretical writings, sometimes juxtaposing or interspersing them with poems. He worked collaboratively at various times with the West German artist Jorg Immendorff. I accept the Terms and Conditions. Yes I want to receive news. **You can unsubscribe at any time by clicking the link in the footer of our emails.